Like many drugs in the benzodiazepine family, clonazepam has become regularly abused and is often taken in combination with other drugs such as opioids and alcohol.3 Clonazepam users may experience cravings that indicate both physical and psychological dependence. Who Answers? to learn more about recovery centers in your area that can help you manage clonazepam cravings. Clonazepam, also known by its brand name Klonopin, is commonly prescribed for the management of panic disorder and certain seizure conditions. When taken as prescribed, clonazepam is a safe sedative-anxiolytic drug. Clonazepam’s perception of safety may explain its widespread casual or recreational use, as it is frequently sought for its pleasant calming or drowsy effect.3 When used chronically, clonazepam can be addictive. Someone who is physically or psychologically dependent on clonazepam will usually begin to experience cravings once the last dose has worn off. Because clonazepam has a long half-life, cravings and other withdrawal symptoms may not appear for more than a week after the last dose, become most intense during the second week, and begin to level off during the third or fourth week. 9 However, a person may continue to experience intermittent cravings after this period. Sensitivity to sounds, smells, or physical sensations that may increase irritability. Increased likelihood of angry outbursts or aggression. Inability to focus on anything but getting more clonazepam. Anticipation of having clonazepam again. Making appointments with doctors likely to write a prescription. Hanging around with people who use drugs. Lying to family and friends to get more clonazepam. Stealing to get money to buy clonazepam. Clonazepam is a difficult drug to discontinue due to the withdrawal symptoms and cravings. Long-term use should not be abruptly reduced or stopped altogether, and any discontinuation should be done under the supervision of a medical professional. People who need help with clonazepam cravings or addiction have several options. They can attend an inpatient or outpatient substance abuse treatment program, work one-on-one with a therapist, or attend a 12-step or other group therapy program. Supportive medications may also be used to help people navigate the difficult withdrawal period. Because clonazepam is commonly used in combination with other drugs such as alcohol or opioids, effective treatment must also address other addictions as well as any co-occurring mental health or medical issues. Be productive in his or her family, at work, and in society. The primary focus of any detox facility will be to help you or your loved one through the more acute cravings and withdrawal symptoms that will occur after stopping use of clonazepam. While in detox, you will be monitored 24 hours a day by therapists, nurses, and psychiatrists. Some detox facilities also offer counseling. According to the National Institute on Drug Abuse, people who do not receive any further treatment after detoxification usually resume their drug use. 2 It is highly recommended that you transition to an inpatient or outpatient treatment facility once detox is complete. 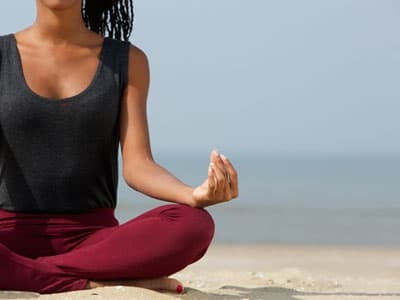 Inpatient facilities, or residential treatment facilities, provide 24-hour, comprehensive treatment services, including individual, family, and group therapy; a healthy and well balanced diet; assistance with lifestyle changes that will aid in your recovery; and possibly yoga, exercise, and relaxation classes. These programs can last from 28 to 90 days or longer. The length of time spent in a residential treatment facility will depend on multiple factors, including the length of time you or your loved one abused clonazepam and the presence of any mental health or polysubstance issues. It will also depend on your insurance and budget. Many people enter outpatient programs such as a PHP or an IOP once they have completed a residential program. Others use these programs as their primary form of treatment. PHP is a daily program that provides substance abuse therapy in a hospital setting or offers access to hospital services. IOPs, in general, are day programs that require you to visit the treatment center for therapy sessions for a few hours at a time on certain days of the week. IOP also requires you to have an outside physician monitoring any medications. For most people recovering from an addiction, triggers in the immediate environment can increase the likelihood of a relapse, including friends and family who may not be supportive of sobriety. PHP and IOP can help you to smoothly navigate the transition from detox or inpatient treatment to the maintenance phase that is critical for long-term sobriety. Group therapy and 12-step programs help you understand that you are not alone in your battle against addiction. SMART Recovery and other non-12-step programs can also help guide you through recovery. These programs offer peer support, sponsors, and, in the case of 12-step programs, a structured path to recovery. Twelve-step groups and other substance abuse group therapy programs are an inexpensive and effective way to maintain your sobriety. Having a positive support system is one of the biggest factors that leads to sustained recovery. Some people use these programs as their primary form of treatment, but many people use them as aftercare once they complete a treatment program. Speaking to an addiction professional or therapist one-on-one can also be very useful in maintaining sobriety. A therapist can guide you to a better understanding of how you became addicted and what your triggers are. He or she can help you figure out how to take care of yourself and help work through any trauma or other stressors that may be contributing to your addiction. Seek out a therapist who is a certified addiction counselor, as they are well-equipped to deal with issues specific to substance abuse. CBT is one of the most effective treatments for cravings and addiction. Cognitive behavioral therapy (CBT) is one of the most effective treatments for cravings and addiction. It focuses on modifying a person’s thinking, expectations, and behaviors, while increasing skills for coping with various stressors. 4 CBT is available in inpatient and outpatient programs, and through an individual therapist. Strategies to function without drugs and deal with cravings. How to avoid drugs and situations that could lead to drug use. How to modify attitudes and behaviors related to drug use. How to increase healthy lifestyle skills. How to handle relapse if it occurs. Relaxation. CBT also teaches a number of relaxation techniques to deal with cravings, including deep breathing, counting backwards from 10 to 1, and guided imagery. Distraction. Recovering users are taught how to shift their attention to other things when they experience a craving. Instead of focusing on the craving, they will go for a walk, watch TV, exercise, or engage in a hobby. Talking through the craving. Cravings often become less intense if the person discusses them with a friend, family member, or sponsor in a 12-step program. ”Urge surfing”. This is a mindfulness technique that involves “going with the craving.” Instead of trying to ignore the craving, which can make it more intense, the person focuses on the craving and what it feels like. Many people find that cravings build in intensity and then subside, like a wave. A person cannot simply stop using drugs for a few days and be cured. He or she requires long-term care to stop using completely and to recover his or her life. After completing an initial treatment program, a person should seek out some form of aftercare. Many of the treatment options listed above, including individual and group therapy, 12-step meetings, and outpatient programs can all be forms of aftercare. Sober living homes are another form of aftercare. Sometimes referred to as halfway houses, these homes allow people in recovery to reside in a drug-free environment with supervision and other services, including counseling and help finding a job. No medication is available to specifically curb clonazepam cravings. However, a physician can use what is known as a tapering strategy to help reduce cravings. This involves gradually reducing the dose of the drug over a period of time. Tapering also helps make the withdrawal process more comfortable. Anti-hypertensive medications, such as propranolol, can also help reduce cravings for benzodiazepines. During detoxification, other medications may be used to help comfortably support the patient through the process by addressing any troublesome withdrawal effects. Antidepressants: Proven effective for the long-term treatment of anxiety disorders. However, they do not provide the same immediate reduction of anxiety symptoms that clonazepam or other benzodiazepines do. Anticonvulsants: These drugs can also be used to treat seizures. Buspirone: Can also be used to treat anxiety. It is not a benzodiazepine or barbiturate and is believed to carry a lower risk of dependence. Keep in mind that medication alone is not enough to help a person overcome an addiction, anxiety, or insomnia. The person should be working on making behavioral changes, learning relaxation techniques, and increasing coping skills to deal with emotions while drugs such as antidepressants are given time to work. Relaxation techniques are skills that need to be learned and then practiced consistently for a person to have long-term benefits. A person with a diagnosed mental health condition, such as generalized anxiety disorder, should consider medication management options and behavioral therapy in addition to these natural techniques. Autogenic training – you concentrate on the physical sensations of warmth, heaviness, and relaxation in your body. Biofeedback-assisted relaxation – the use of electronic devices to measure body functions, such as muscle tension, to teach how to produce physical changes in the body. Deep breathing/breathing exercises – focusing on slow, deep, even breaths. Guided imagery – focusing on pleasant images to replace negative or stressful feelings. Meditation can help you observe your cravings without acting on them. It can also help with the anxiety that often accompanies cravings. A therapist can help you practice meditation, or you can look for resources online. Exercise offers many benefits to someone in recovery. It can help curb cravings, reduce anxiety, promote health, and improve self-confidence. Eating a healthy diet can improve your mood, help you avoid sugar or caffeine “crashes,” boost your energy, and help your body heal from addiction. The better you feel, the less likely you will be to experience cravings. Getting a good night’s sleep will leave you feeling rested and better able to cope with any cravings that occur. Learn the warning signs of relapse and build a prevention plan. Difficulty managing new feelings and emotions. Failing to use coping skills when major life events occur. Overconfidence in recovery – a belief that relapse will not happen. Loss of commitment to a recovery program – missing support meetings, leaving treatment early, etc. Hanging out with friends who use. Returning to locations that the person used to frequent in active addiction. Build a sober support network. Find friends, family members, and other sober people you can talk to about any challenges you face in recovery, including cravings. Attend regular support group or 12-step meetings. These meetings offer the opportunity to share your experiences as well as sponsors you can call if you are having a craving. Know your triggers. Work with a therapist or another person to identify what people, places, and things are likely to make you want to use clonazepam again. Then, figure out how to avoid these or how to deal with them if you cannot avoid them. Monitor yourself. Memorize the relapse warning signs and take action if you start to notice yourself slipping back into old habits. Identification of a problem is the first step in making a change. Asking for help can be very difficult, but the reward of a long-term recovery is worth the effort. Treatment support specialists are available to assist you in finding a treatment center that best meets your needs. Call our helpline at 1-888-319-2606 Who Answers? today. Forum Discussion: Does Benzodiazepine Detox Work?
. Griffith, H. W. (2015). Benzodiazepines. In S. Moore (Ed. ), Complete Guide to Prescription and Non-prescription Drugs – 2016-2017, 172-173.
. Longo, L. P. & Johnson, B. (2000). Addiction: Part I. Benzodiazepines – Side Effects, Abuse Risk, and Alternatives. American Family Physician, 61(7), 2121 – 2128.
. National Institute on Drug Abuse. (2014). Research Report Series. Prescription Drug Abuse.
. Halm, M. A. (2009). Relaxation: A Self-Care Healing Modality Reduces Harmful Effects of Anxiety. American Journal of Critical Care, 18(2), 169-72.
. National Center for Complimentary and Integrative Health, National Institutes of Health. (2014). Relaxation Techniques for Health: What You Need to Know.
. Bennett, C. (2011). Reclaim Your Life: You and the Alcoholic/Addict.
. Pies, R. (2009). Should Psychiatrists Use Atypical Antipsychotics to Treat Nonpsychotic Anxiety? Psychiatry 6(6):29-37.